Wanting to create a space that is all about style and sophistication? 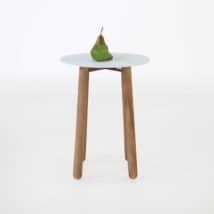 You’ll need the Poppi Low Side Table in White to complete your quest. A step towards ultimate relaxation and rejuvenation the Poppi range echoes the furniture of the turn of the last century. Classic and timeless designs with rounded edges and flat surfaces that are oh so sumptuous and elegant. 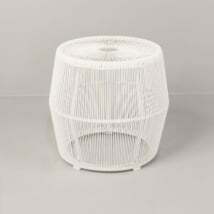 The Poppi Low Side Table features a wide circular table top with a gorgeous base that cinches in at the bottom, and covered in a slender weave of wicker… Poppi is a sight to behold! 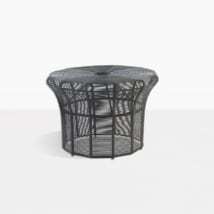 W18" x L18" x H12"
The Poppi Collection includes this gorgeous Low Side as well as a tall option, and the Poppi Wicker Coffee Table, so you can purchase one or all in your mission to create the perfect outdoor setting! Place two of the Poppi Low Sides on each end of a teak sofa, like our Monterey 3 Seater, for an elegant, timeless appeal. Or pop next to a lounge chair to help you achieve ultimate relaxation! 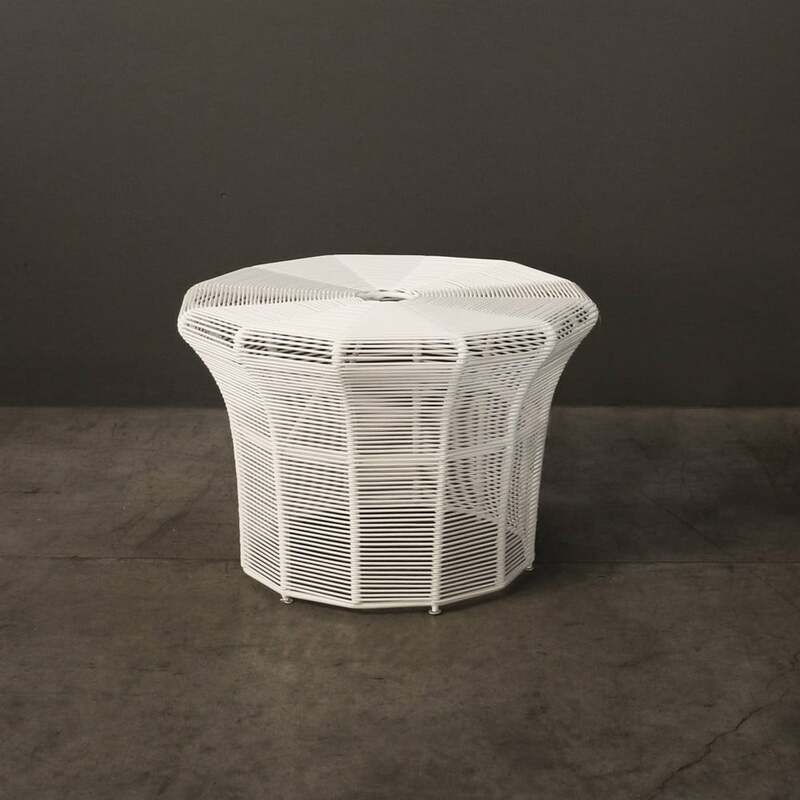 The Poppi Low Wicker Side Table is made out of the best materials for outdoor use, beginning with a strong, lightweight powder coated aluminum frame, which deters rust and corrosion while keeping your Poppi Table looking at its best. Wrapped so beautifully around the frame is an incredible, state of the art new brand of outdoor wicker, which being through dyed and treated for UV exposure, looks amazing and lasts. 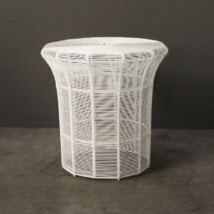 Be assured that with the stylish Poppi Low Table, comes quality. At Teak Warehouse these are the principles we hold dear. Our amazing array of deep seating, dining, relaxing, shading, and accessories all are built for outdoor use while maintaining the most luxurious designs. Because we think you deserve the best. 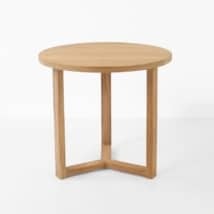 To order your very own Poppi Low Side Table, call us today! Our sales team are waiting for your call!